Are you getting married, or know someone who is? Wedding favours are becoming increasingly popular, and also increasingly personal. Why just stick with sugared almonds when you can give your guests a beautiful small gift from our range! A long lasting bar of soap is the perfect take-home present for everyone who made your day special, which not only looks gorgeous but will remind them of your wedding in the weeks to come as they lather up in their morning showers! 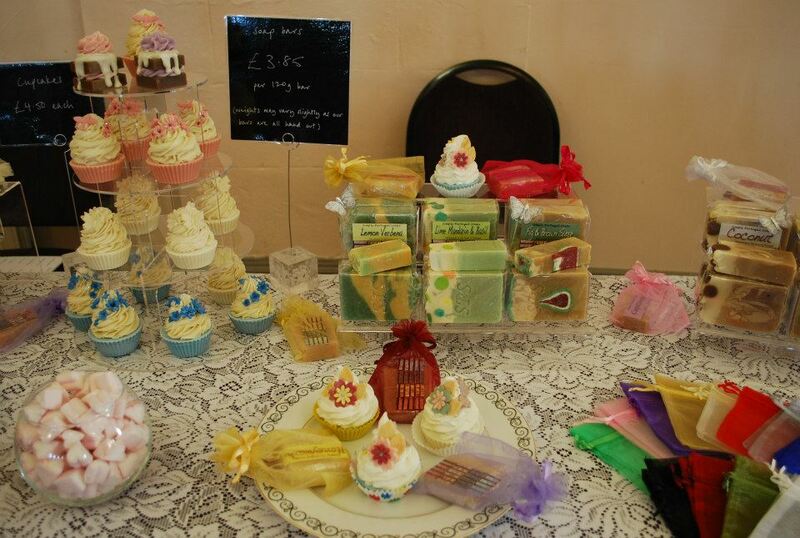 We offer a wide variety of soapy favours for you to choose from, ranging from our ever popular cupcake and cake soaps to small (half sized) soap bars of our most popular fragrances. We can colour coordinate with your theme, add organza bags, or keep it simple with clear wrapping to let the soap shine through. With enough notice we can even make a whole cake of soap just for you, with decoration to suit your special day! Here is a selection of our current wedding favours, but please do get in touch to discuss your ideas and thoughts, and to find out more information. Or keep an eye on our ‘events’ (see the right hand side of the website) to catch us at the next wedding fair!